Many elements combine to make traditional wedding receptions special. But many veteran wedding guests would agree that the right playlist once guests hit the reception hall dance floor can turn an ordinary wedding reception into something far more memorable. 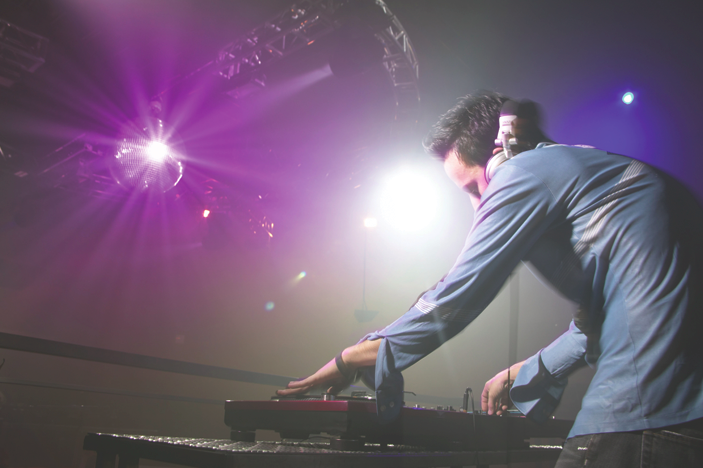 The majority of couples choose between a live band and a disc jockey to provide the music for their wedding receptions. Entertainment is often one of the more memorable aspects of a wedding reception, as the right band or disc jockey can help to establish a jovial mood that makes it easy for everyone to have a good time. Couples can leave their wedding reception playlists to the professionals, but they should also know that they have a say in which songs are played. In addition, couples can have a “no play” playlist that prohibits certain songs they dislike from being played. When mulling the musical choices for your wedding reception, consider the following advice. · Begin by making a list of your favorite songs. Make this list during different days and at different times and moods so you get a good cross-section of your favorite tunes. But remember not every song is a good fit for a wedding reception. Melancholy songs or those that include suggestive lyrics are best left off the playlist. · Aim to get as many guests on the dance floor as possible. Well-known songs and upbeat dance music will inspire more guests to cut a rug than lesser known tunes you may be fond of. Music that spans the decades and various genres will appeal to guests from all age groups, encouraging dancers young and old to cut a rug. · Avoid songs that are difficult to dance to. Some songs just are not meant to be danced to. If your favorite songs fit that bill but you still want to hear them on your wedding, ask the DJ or band to play them during the cocktail hour or while everyone is eating dinner. · Give the music vendor some leeway. Disc jockeys and bands have no doubt performed at many a wedding before yours, and they may have a better feel for crowds than you do. Let them know they have some leeway to play songs that did not make it onto the playlist if guests seem to be avoiding the dance floor. That professional expertise is why you hired them, and it can make for a more memorable night for everyone. · Don’t stress out about the music. The playlist can set the tone for a positive reception, but don’t stress out if you’re struggling to come up with songs you want to hear. Your vendor is no doubt capable of creating a playlist that will ensure everyone has fun. Hiring a band or disc jockey to perform at your wedding reception is a great way to make sure everyone enjoys a fun night. Adding your own favorite songs to the playlist can make the reception even more special.